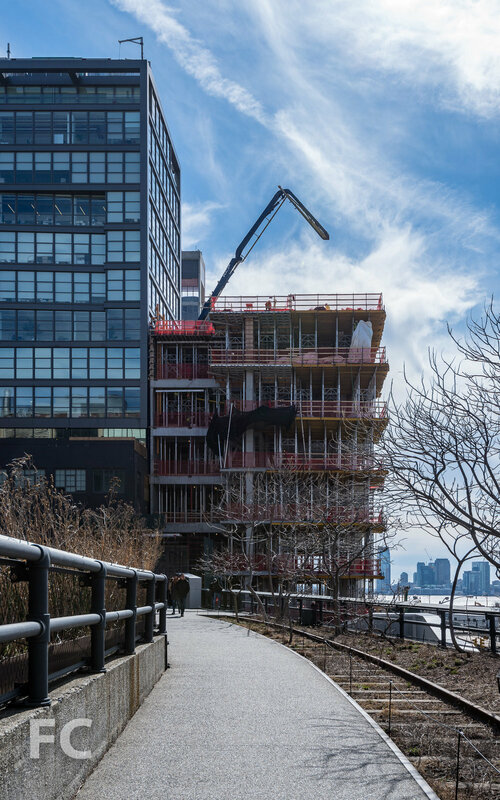 Superstructure has reached the halfway mark at 40 Tenth Avenue, the 10-story spec office building adjacent to the High Line at West 13th Street. Design of the tower is led by Studio Gang and uses the firm's strategy of "solar carving" which, according to their website, "uses incident angles of the sun’s rays to sculpt a building’s form." The northwest and southeast corner of the rectangular tower massing will be carved away by this principle to produce a faceted façade and allow more sunlight to reach the adjacent green space of the High Line. North facade from the High Line. 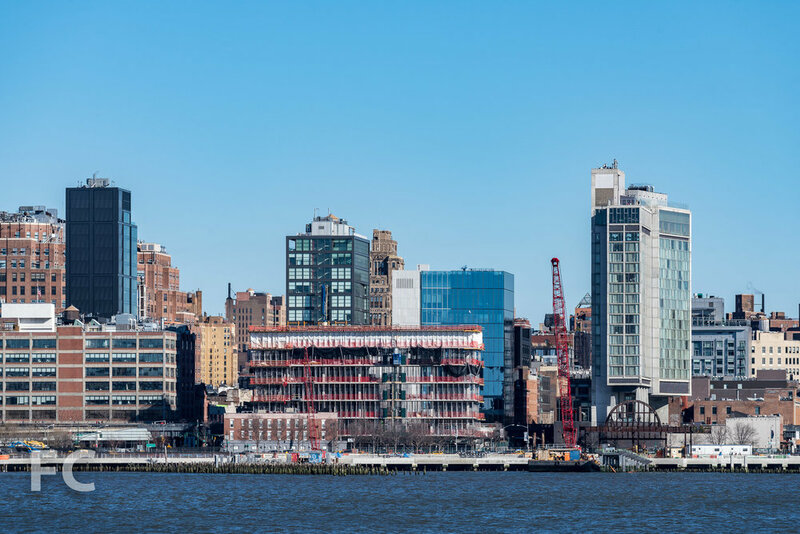 Architect: Studio Gang; Developer: 40-56 Tenth Ave Joint Ventures, LLC; Program: Office; Location: Chelsea, New York, New York; Completion: 2019.